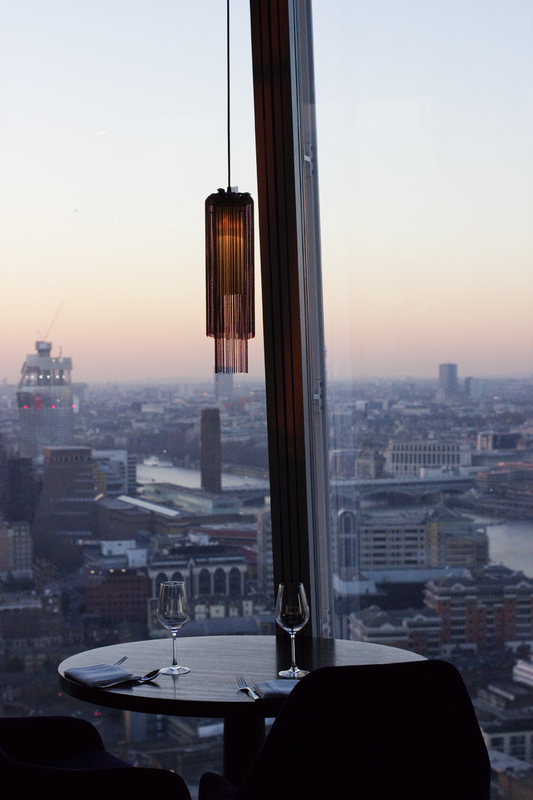 Aqua Shard is a gorgeous bar/restaurant on the 31st floor of the Shard in London Bridge and it’s the best place for a scenic drink. 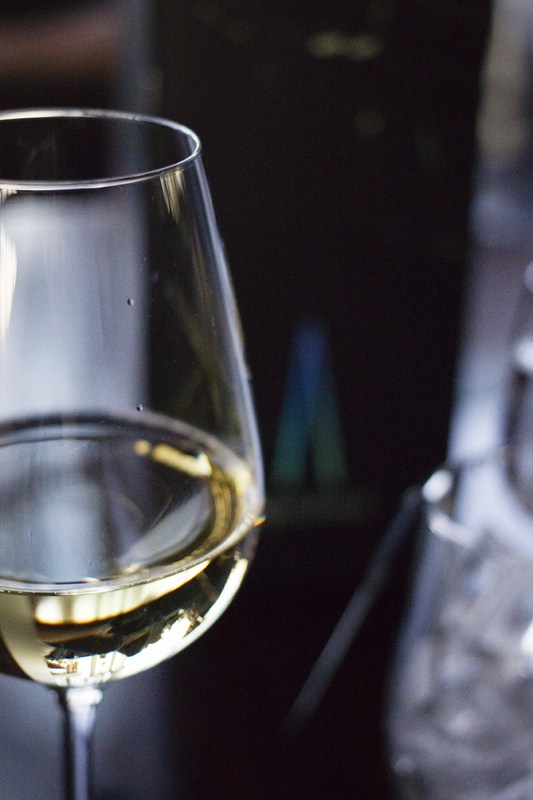 You can’t book to go for drinks but if you turn up a bit earlier in the day, you should be able to grab a table – I’ve been twice around 4pm on a Saturday and even though it’s always been really busy I have still managed to get a table quite quickly. 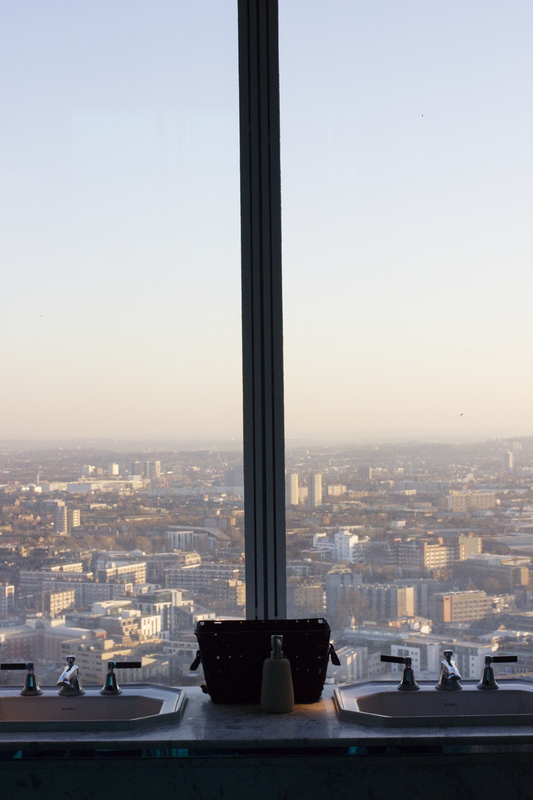 As you might have guessed, Aqua Shard is definitely not the cheapest place to go for a drink with £8 for a small glass of wine, but considering the viewing platform at the top of the building costs over £20 and doesn’t even include a drink (!) I think this is almost okay. 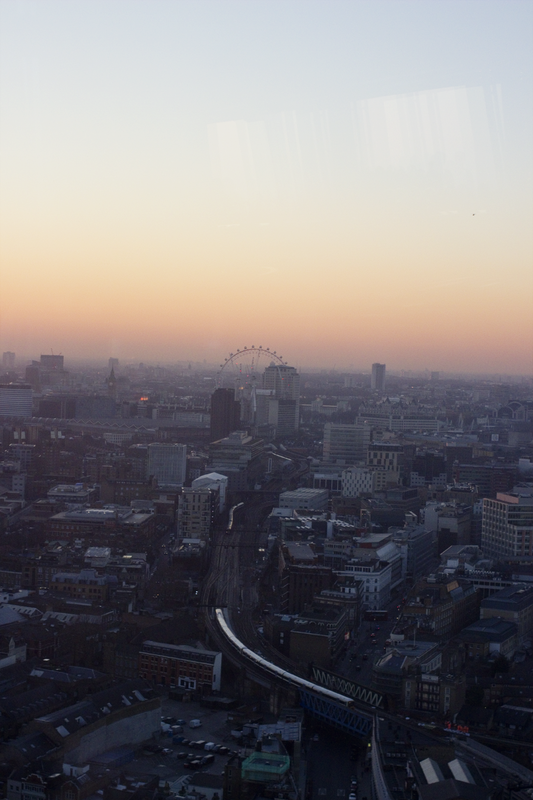 I always think of the £8 as paying for the view and getting a drink as an extra – that way it won’t feel as depressing! 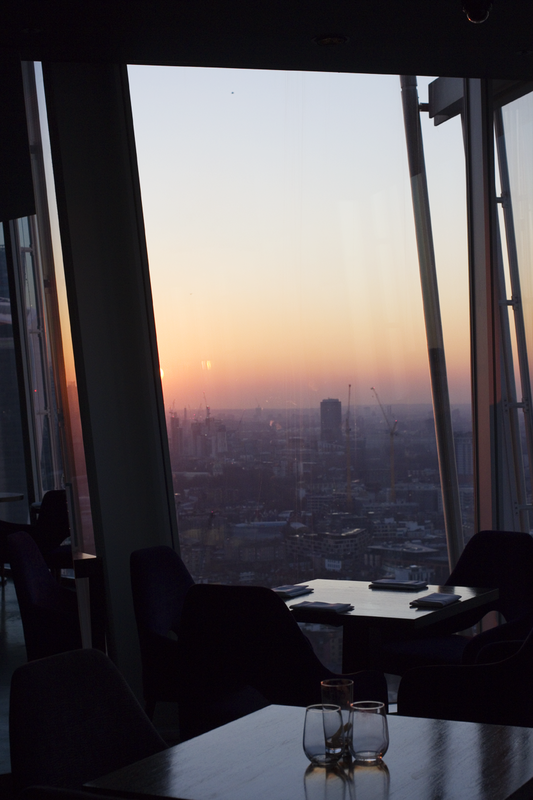 As I mentioned before, Aqua Shard also has a restaurant side which might be a really fun idea for a special occasion. The lunch/dinner options are a bit too fancy for me (I’m definitely a fan of a more casual fare!) but one thing I’ve been dreaming of since I visited on Saturday has been their afternoon tea which looks incredible. With £45 per head it’s definitely up there with the priciest ones I’ve encountered but I guess, again, that you pay for the view as well so it kind of makes sense. Kind of. As you’re going there to eat you can also book a table beforehand and request one by the window (they say on their website that you can’t request a specific table but as someone who has worked in the hospitality industry I’d say it’s always worth a try!). I’d love to try it one day – I’ll let you know once I’ve managed to save enough money to warrant such an expense! One thing I’ll also have to mention are the toilets – they are so beautiful! Does anyone else ever get weirdly excited about seeing the toilets when visiting somewhere a bit more luxurious? Or is it just me..? My favourite toilets are definitely in the Savoy but Aqua Shard comes very, very close. There’s massive windows and you can admire the beautiful London town whilst getting refreshed which I think is quite the treat. 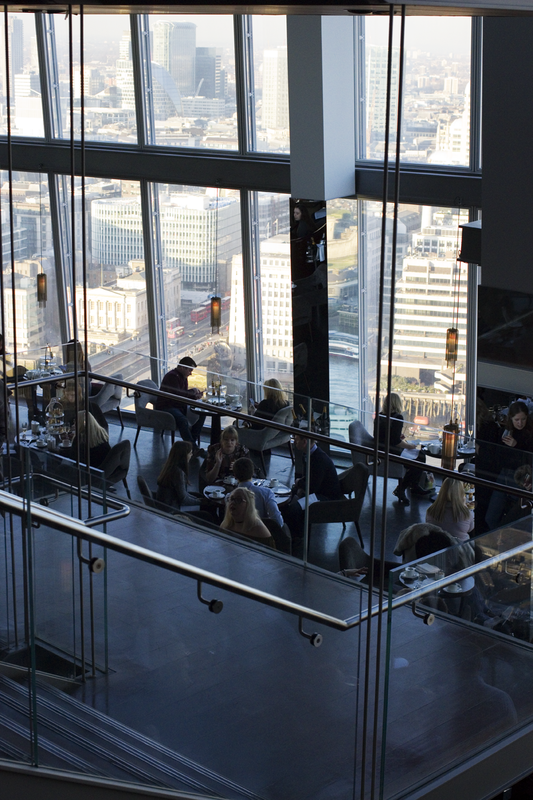 You can find Aqua Shard on Level 31 The Shard, 31 St. Thomas Street, SE1 9RY and remember they have a dress code of smart casual.